When it comes to modes of travel, I definitely have my favorites. Driving a car gives you the freedom to do and see what you want. Flying gets you places fast. Buses can be a good alternative to both driving and flying. But my absolute favorite mode of transport? Definitely TRAINS. 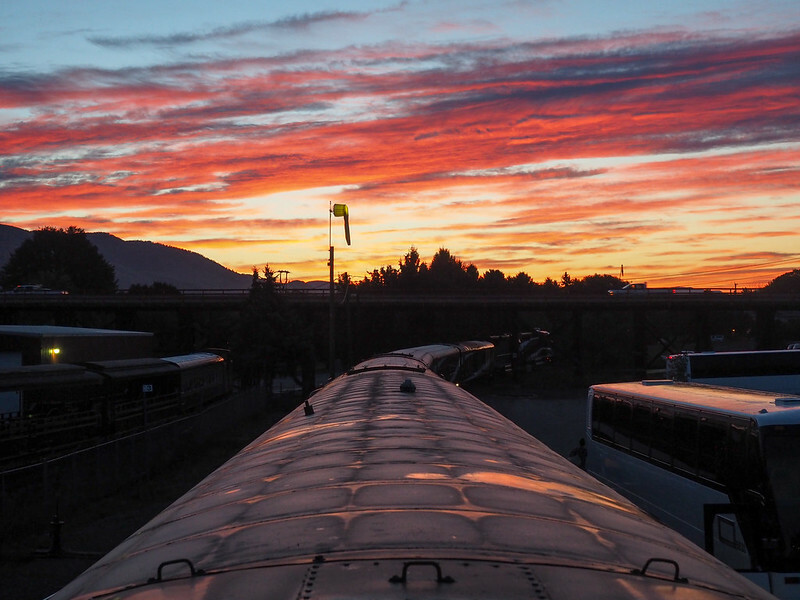 I've traveled by train on four different continents – I've traveled through Eastern Europe by train, enjoyed scenic trains in New Zealand, taken overnight trains in Asia, and even rode the Harry Potter train in Scotland. 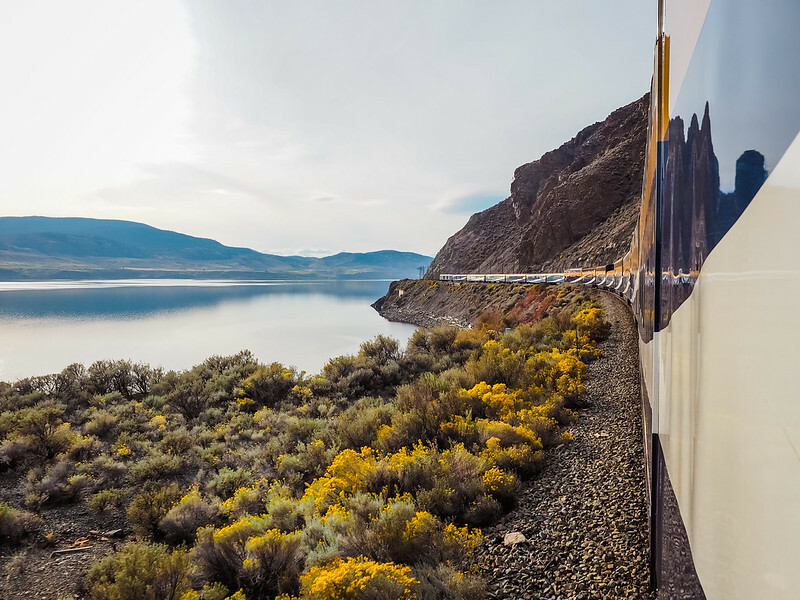 There's just something about train travel – maybe the rhythmic sound of wheels on track, or the gentle rocking that often lulls me to sleep, or the fact that railway tracks often take you through some of the best scenery. Whatever it is, I absolutely love this form of travel. 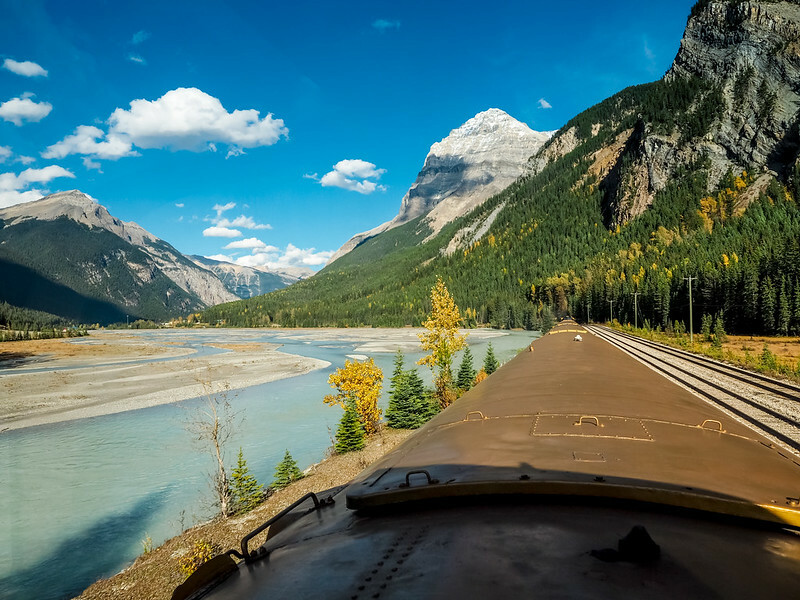 And in September, I got to experience the luxurious Rocky Mountaineer train into the Canadian Rockies. 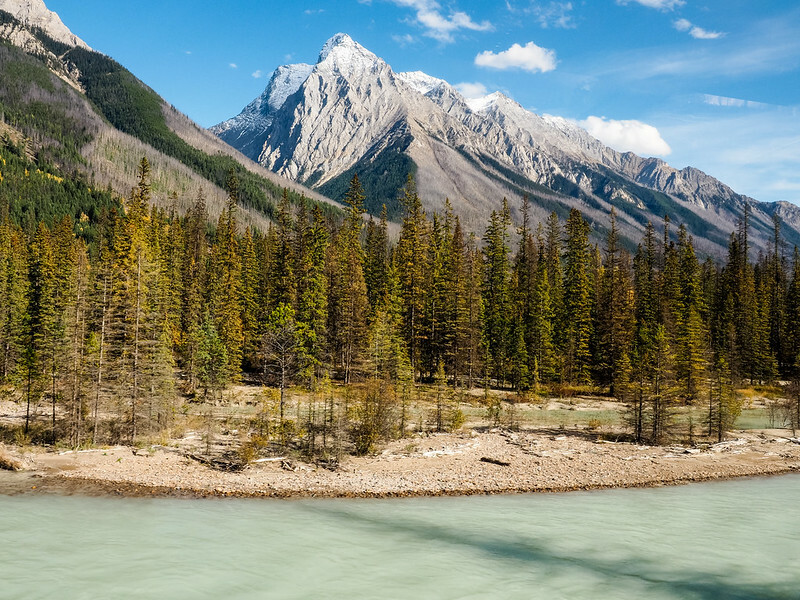 The Rocky Mountaineer is one for bucket lists – it's a luxury train with glass-domed cars that chugs along at a leisurely pace through some of Canada's most striking scenery. You enjoy local wine, multi-course meals, entertaining commentary, and some outstanding service – if you can stay in your seat long enough (I myself was constantly up and down to take in the amazing view). 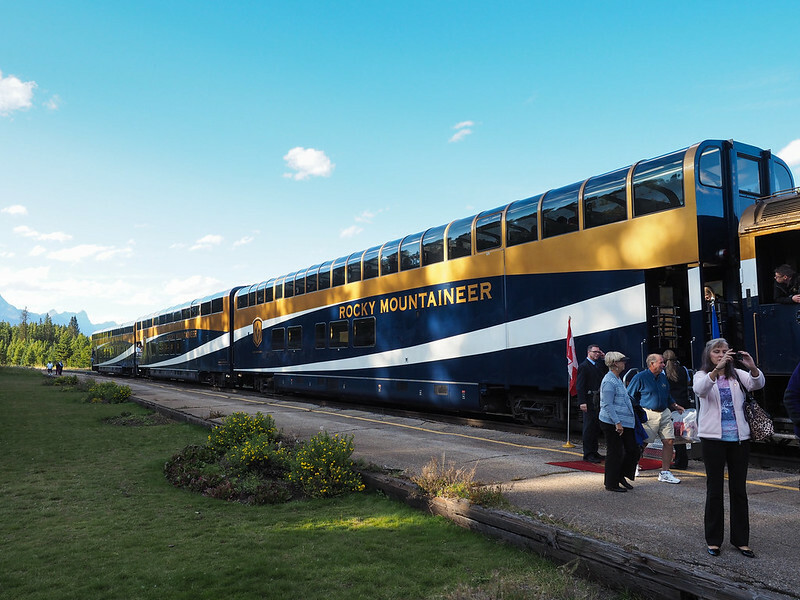 The Rocky Mountaineer is not the quickest way to see western Canada. And it's certainly not the cheapest, either. But damn, is it special. 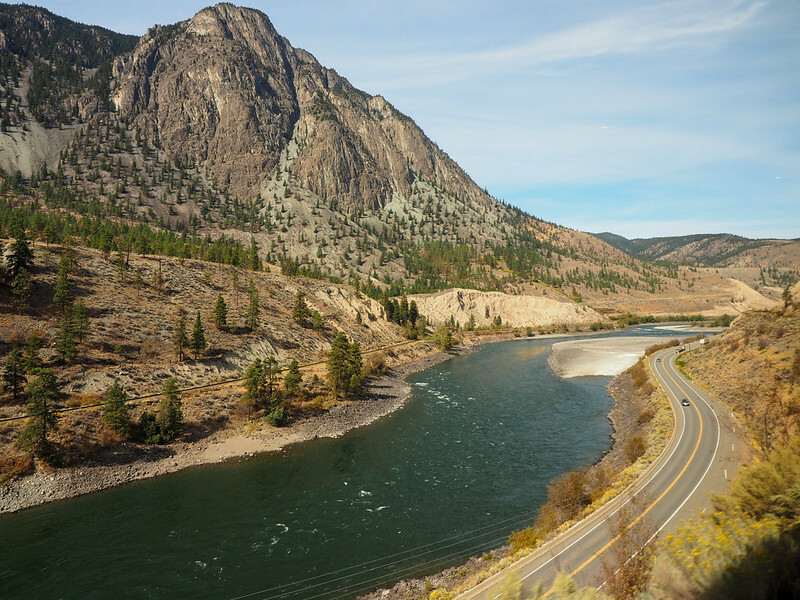 I did a modified 7-day itinerary in late September with Rocky Mountaineer. 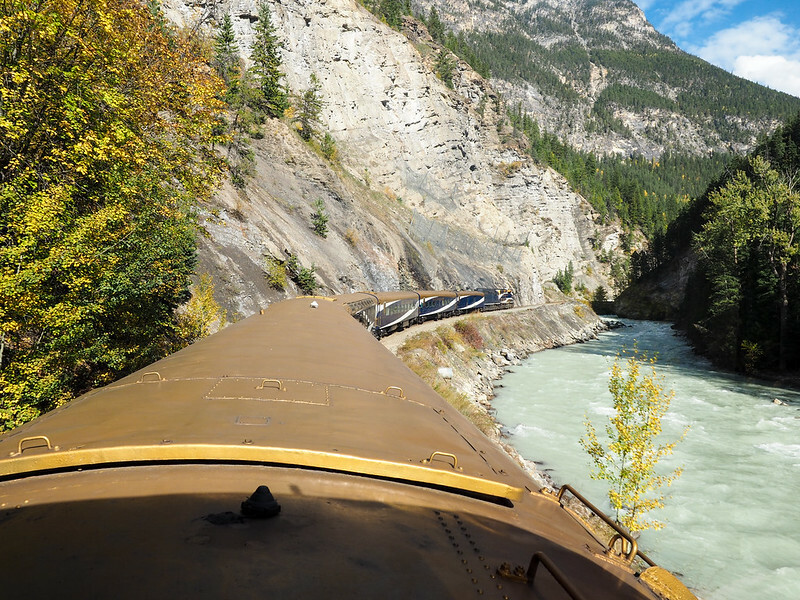 I took the Coastal Passage route from Seattle to Vancouver, had a couple days to explore Vancouver, and then spent two days on the Rocky Mountaineer's First Passage to the West route, with a free day in Lake Louise at the end. And all I can say is… WOW. What a unique way to experience Canada! Keep scrolling to see some of my favorite photos from this trip. 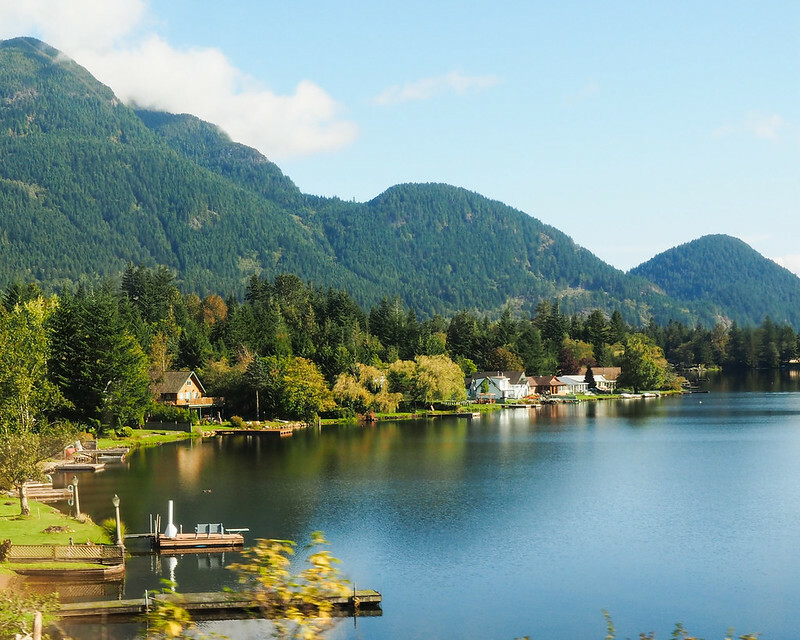 As we left Vancouver, we were met with lots of greenery and lakes. The historic Kilby General Store, seen from the tracks. 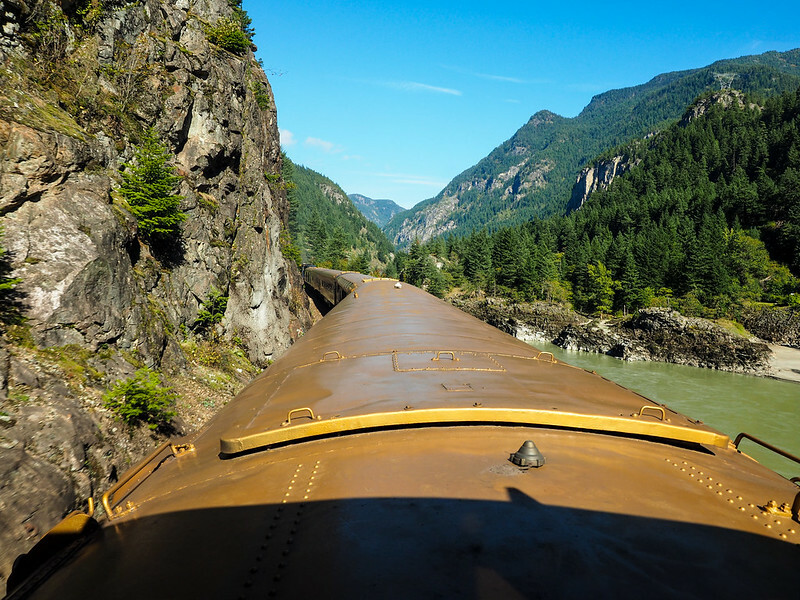 The highlight of Day 1 of the First Passage to the West route was definitely chugging through Fraser Canyon, with great views and lots of short tunnels. 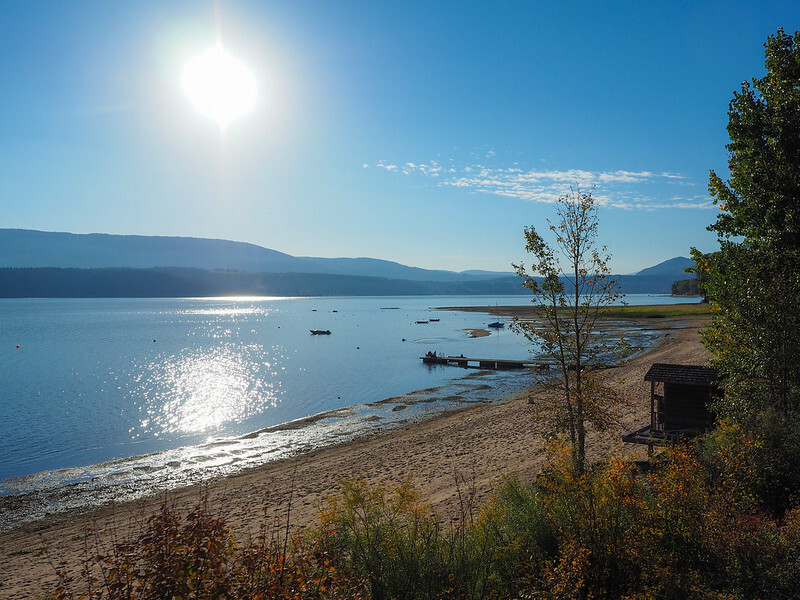 The west coast of Canada has a very temperate climate, and is therefore really green. 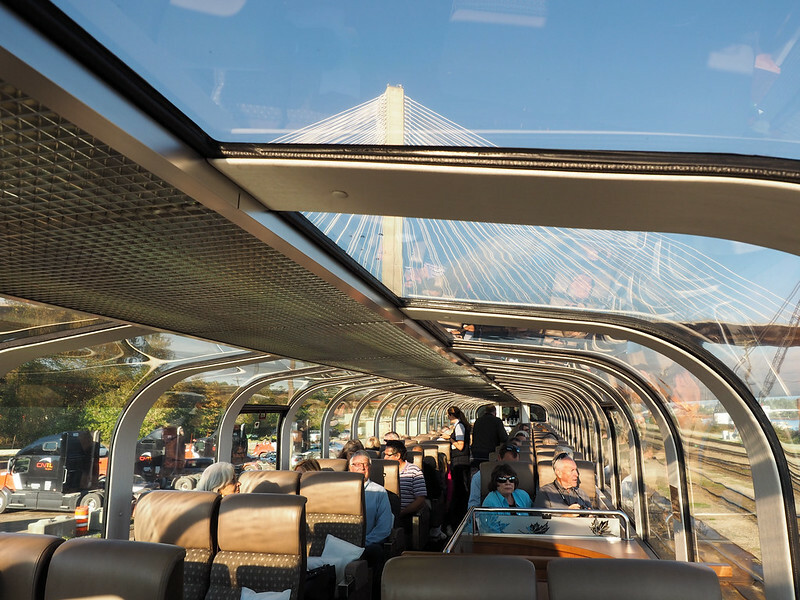 Inside one of the Rocky Mountaineer's Gold Leaf dome cars. 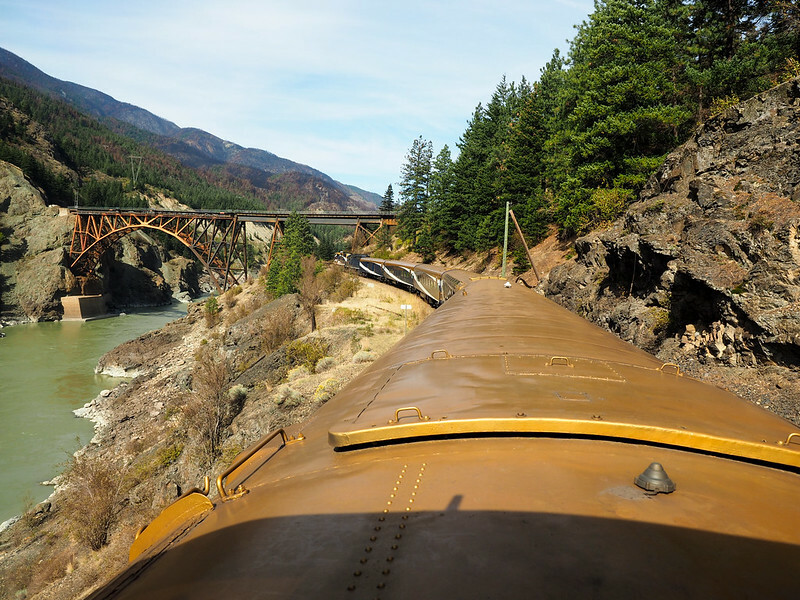 Heading for a bridge in Fraser Canyon. Rainbow Canyon! The landscape is starting to change. Not so green anymore the further east you go! 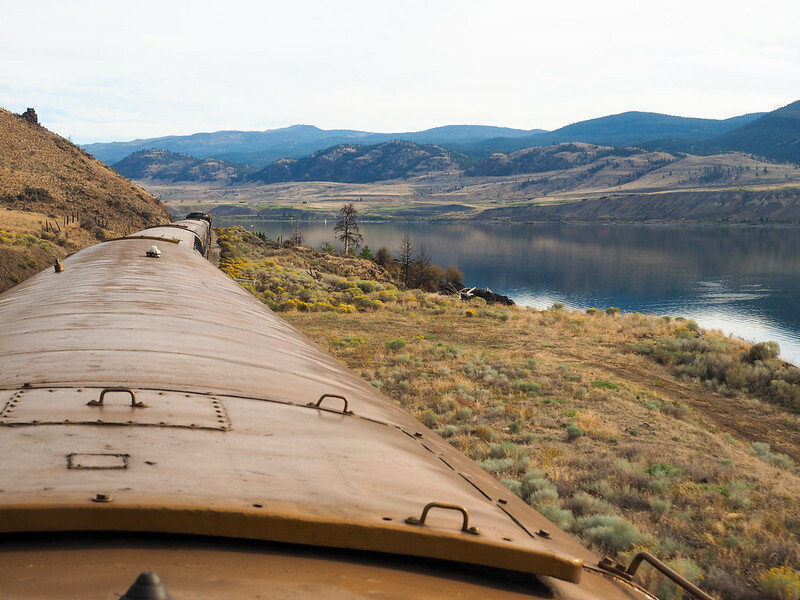 Following the tracks along Kamloops Lake. 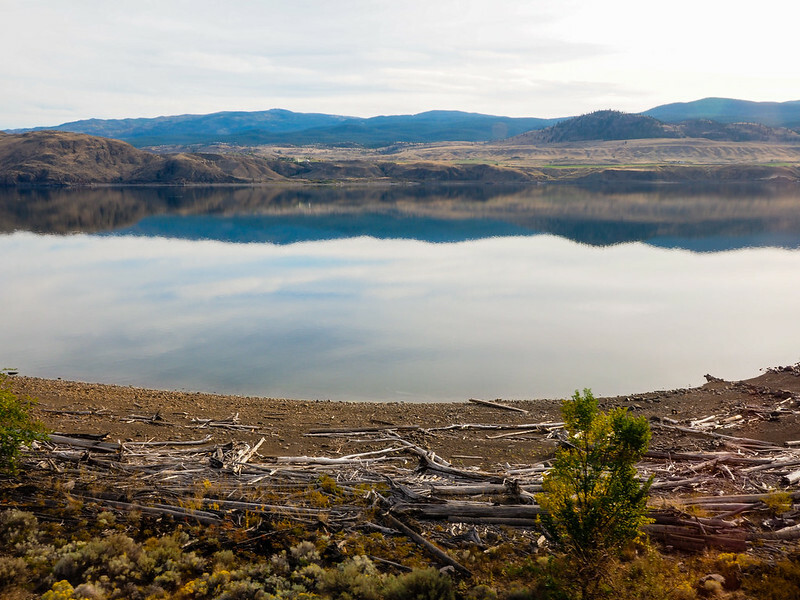 This part of British Columbia is almost desert-like in scenery! Some more lake views from the train. Passing through Craigellachie, the spot where the last spike was driven into the Canadian Pacific Railway. 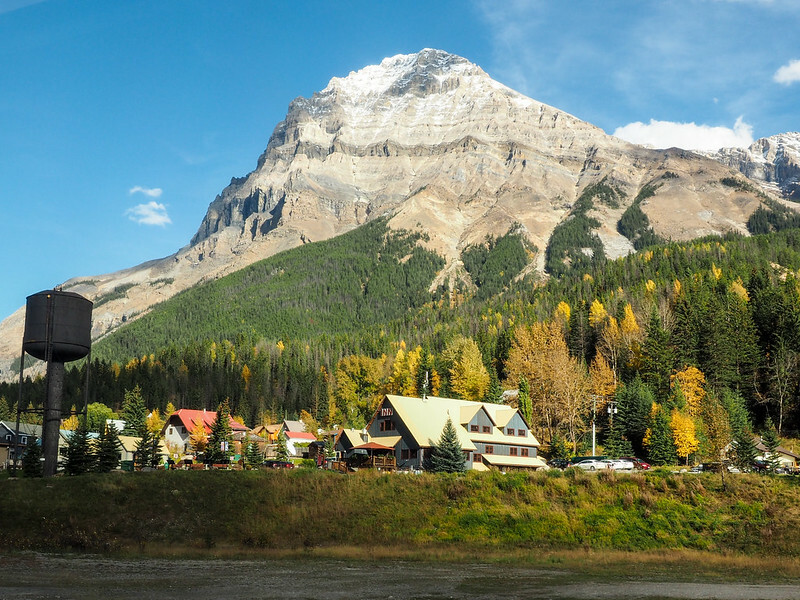 Late September is the perfect time to be in this part of Canada to see fall colors! Finally starting to see mountains! 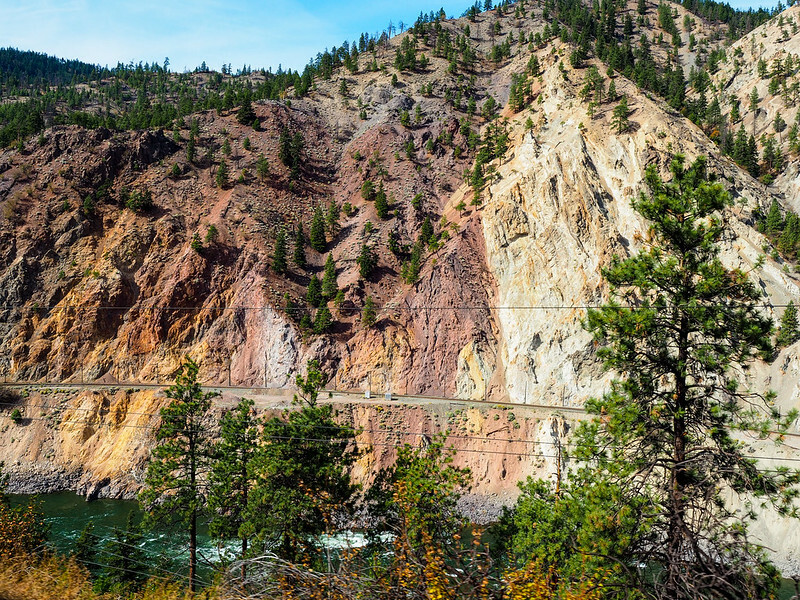 Heading into another canyon alongside the Kicking Horse River. In the Rocky Mountains at last! The views just keep getting better. 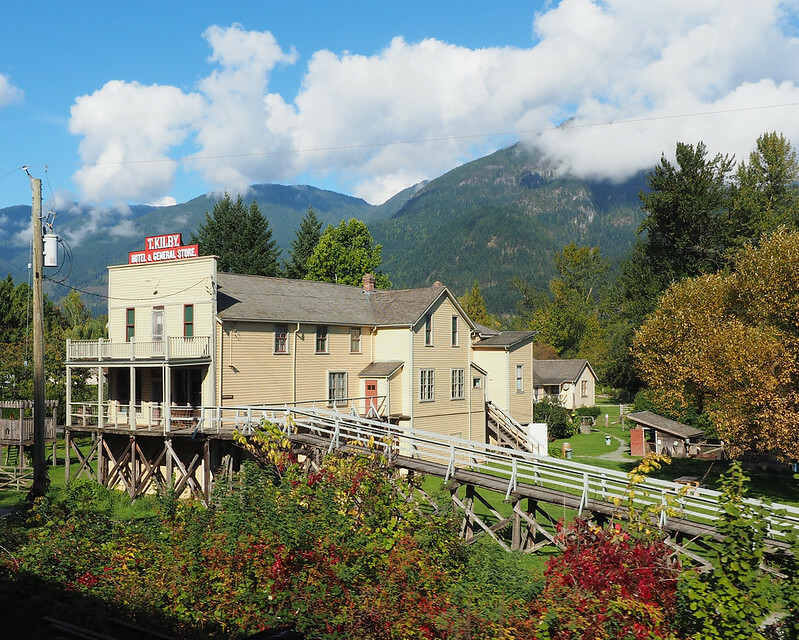 Passing through the tiny town of Field, BC. 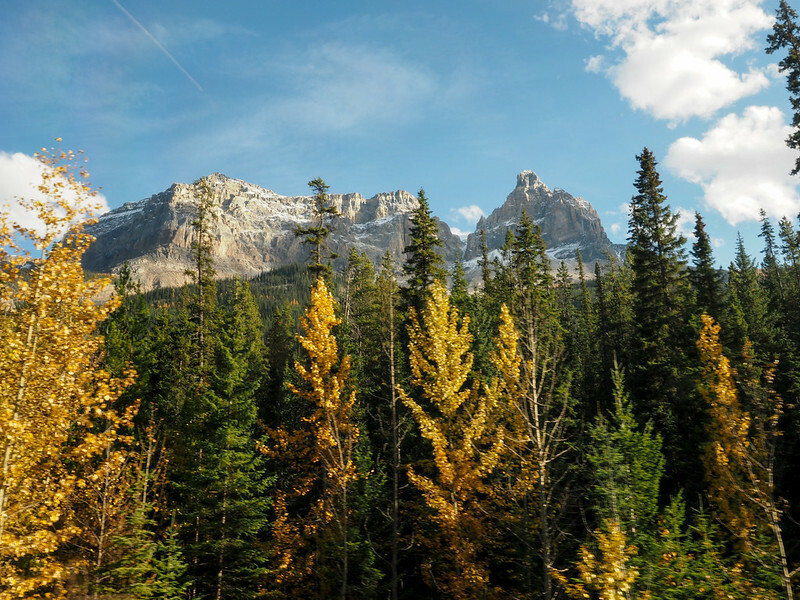 A glimpse of Cathedral Mountain through the trees. These photos sum up my trip in a way that words simply cannot. 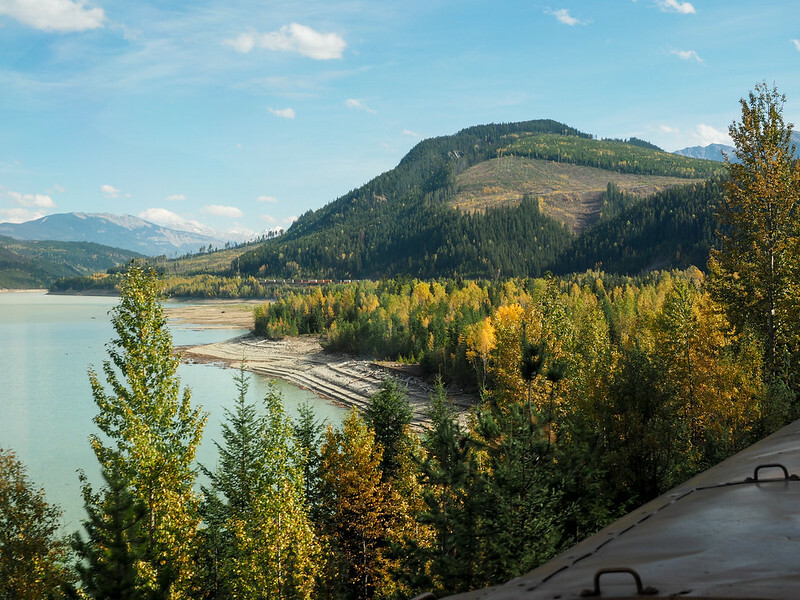 From the views out over the train from the bi-level, glass-domed car I rode in (the ones that make it look like I'm sitting on top of the train), to the vibrant yellows of autumn, to the lakes and mountains and quickly-changing landscapes of western Canada, it was a truly incredible journey. 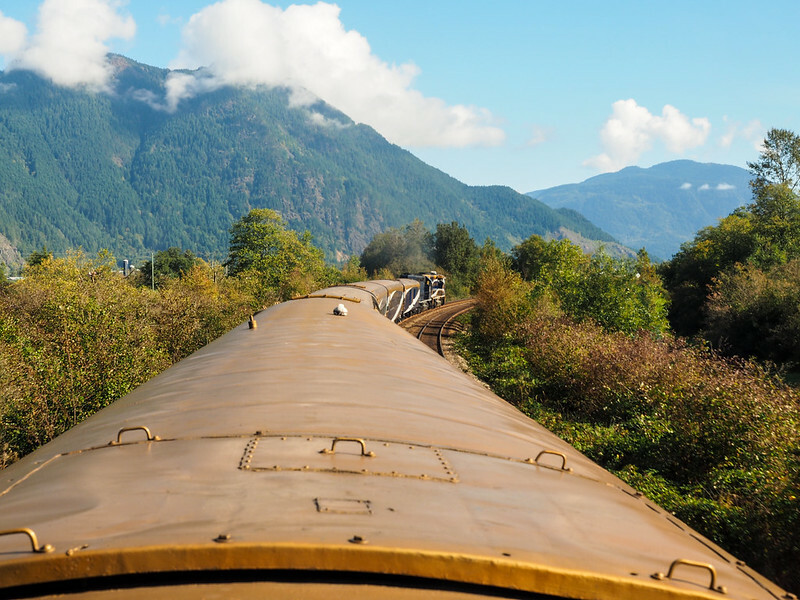 Is a train journey like this on YOUR bucket list? 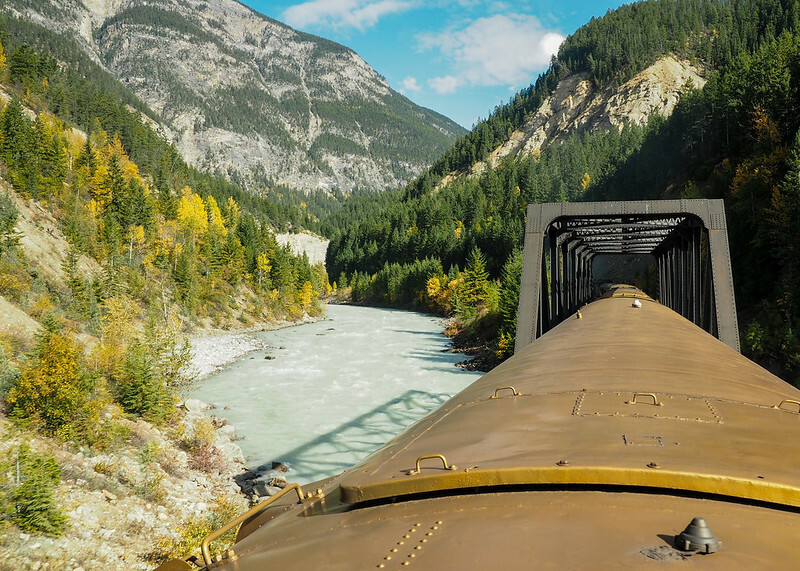 *Note: I was a guest of Rocky Mountaineer on this trip. But, as always, all opinions (and photos) are my own! Wow, such stunning views! Would love to catch this train! It was so much fun. And Canada is so pretty it’s not even funny! Silly me! Mountaineer!! I thought you took the Rocky Mouseketeer at Disney World. I’m with you when it comes to trains! One of my favourite ways to travel for sure. But I’ve never been on a train ride as beautiful as this one! Looks like its another train ride to add to my bucket list (which currently also includes the Trans-siberian, Swiss Golden Circle, Harry Potter train and the Ghan). It’s definitely one of the most beautiful train journeys I’ve been on, too! Definitely bucket list-worthy. I took the Ghan in December from Alice Springs. The scenery was great if you love termite mounds; however, the dining car and bar car made up for it. We stopped at Katherine for some shopping and on to Darwin. I had never heard of it, but it was another highlight of our tour. Yes! Field was so darn cute! Wow, I must put this on my bucket list!!! Looking forward to your upcoming post, I would be interested in the practicalities, like can you hop on and off at different stops? What is the best seat to make some of those amazing pictures? And not unimportantly how much does it costs? All will be answered in my next post! 😉 I will say that this is truly a luxury trip – but it’s definitely one of those bucket list items! Great photos! What setting did you use on your camera to freeze the frame while the train was moving? Thanks Piotr! 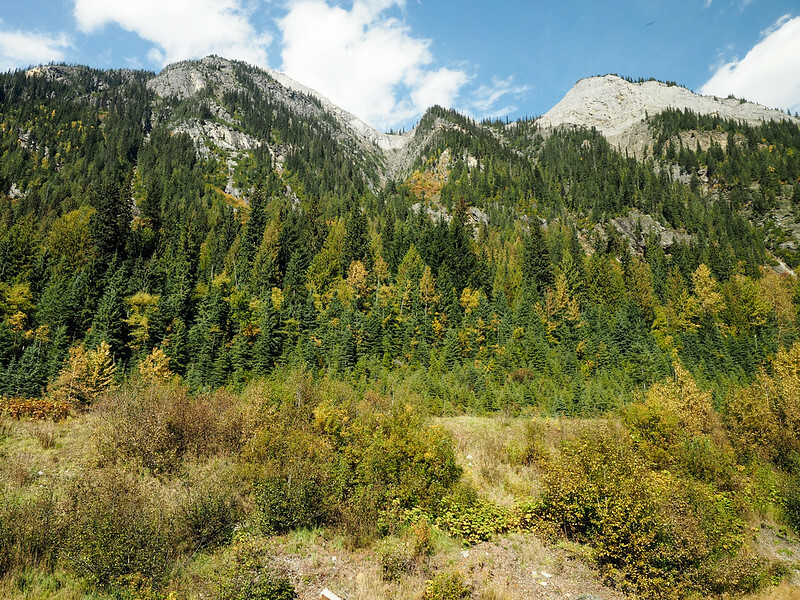 I didn’t use any special setting – just took photos out the front window of the train. 🙂 My lens is pretty fast, though, so that helped! 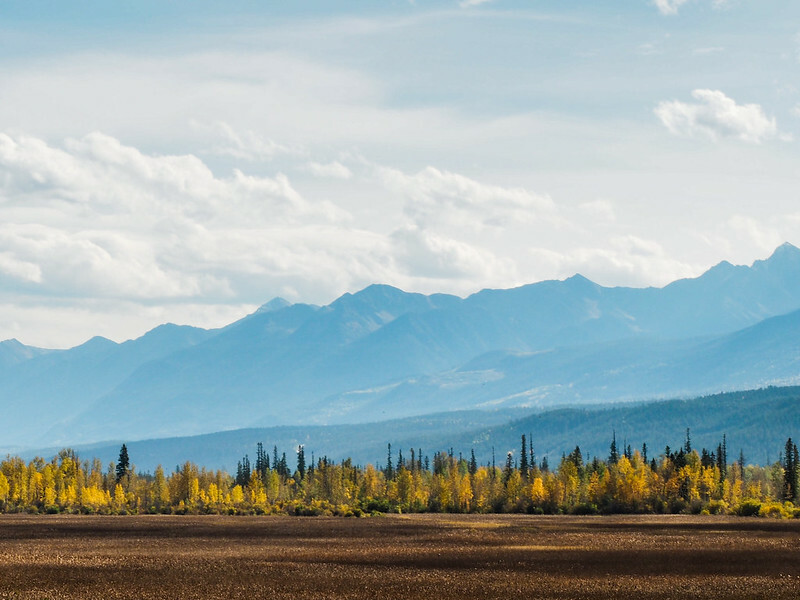 I’ve seen some incredible landscapes all around the world, but I have to agree – this part of Canada is certainly up there with the best of ’em! Is one summer month better than the other such as July vs August. There is also a choice to take a cruise to Alaska. My concern with cruises has always been sickness aboard; it’s all too real. When we were in Hobart last December people were stuck in their cabins with Gastro. I had the train travel specials on PBS in mind as I looked at these. It’s a very special ride – I’ll have a video of it coming in another post later this week! Seeing it by train was definitely a great way to do it! Wow! It’s wonderful! We planed the trip for a long time. Your photos lets us make the decision. Thank you Amanda! Went across Canada from East Coast to West Coast this summer. Loved it!! I agree its not the fastest way to see a place but its super special. 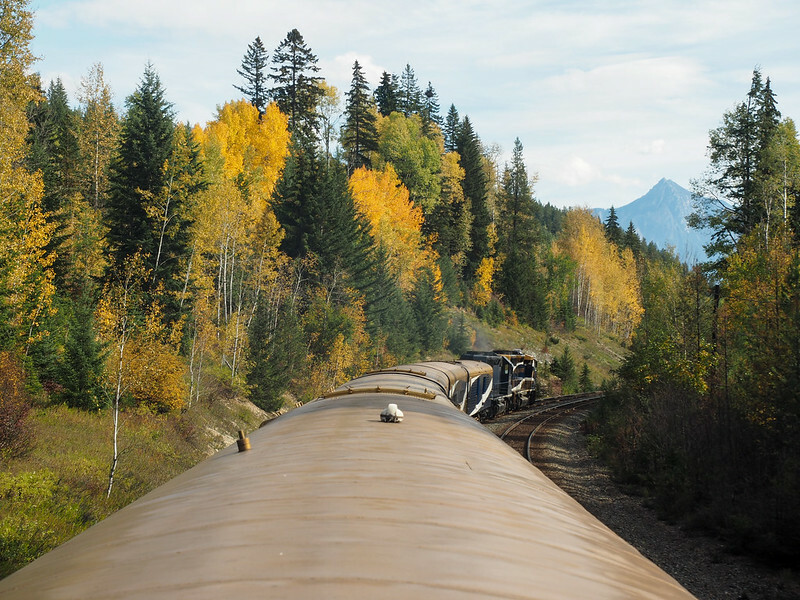 I will have lasting memories of my trip across Canada on the Via Rail Train. 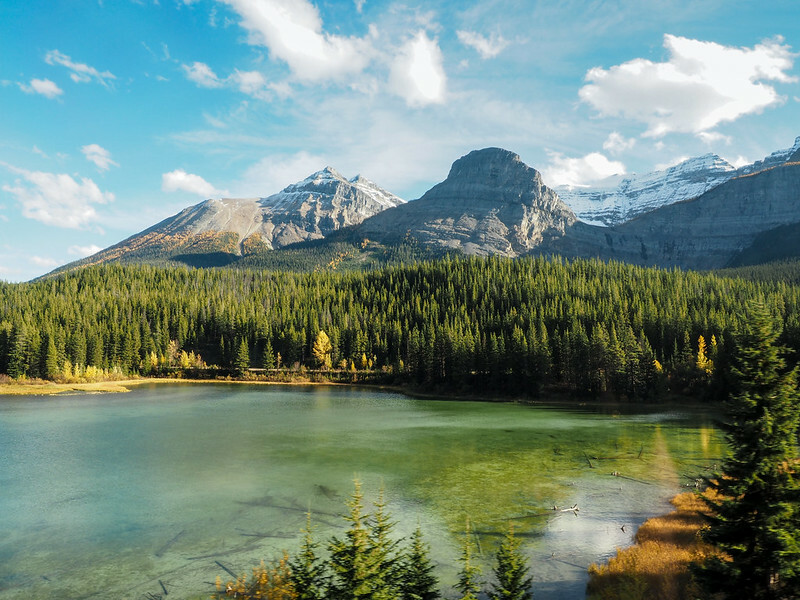 Sometimes slow travel is the best, though – and you really can’t beat the scenery across Canada! I have heard several comments that traveling from Toronto to Calgary is better to fly than take the train. 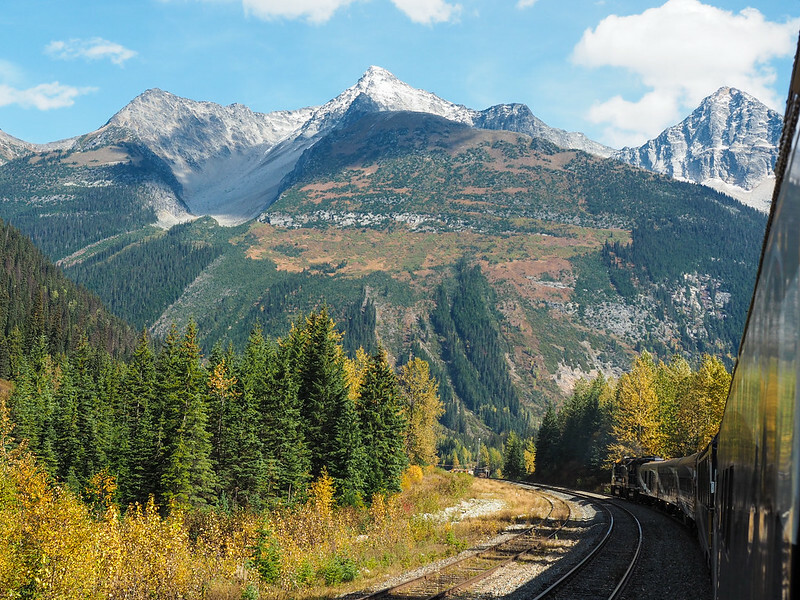 Also, I have heard that it is better to take the train from Vancouver to Calgary than the other way around because the views are better. What are your thoughts? Thank you. Awesome to hear! Definitely some incredible views. Wow – really spectacular photos! 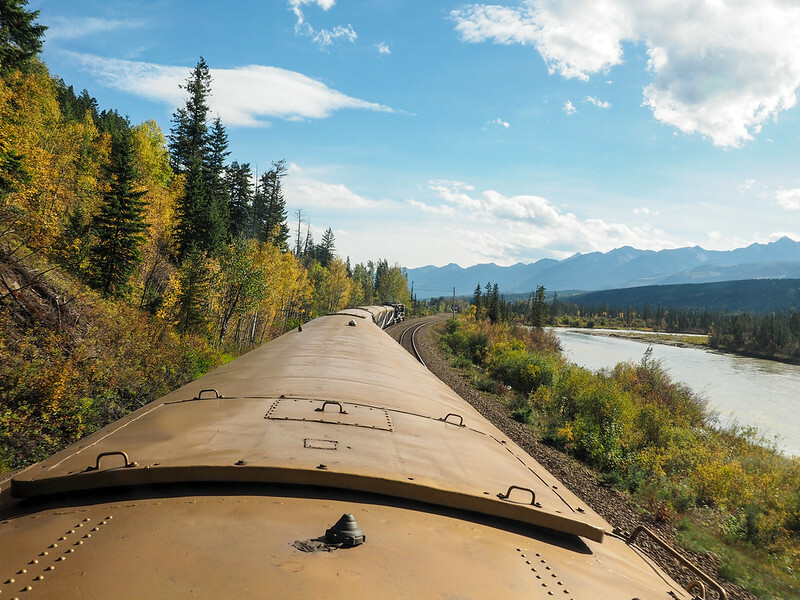 Train seems like a great way to see everything – since you’re not driving, you can just gawk at the scenery! Exactly! I really love that about trains! 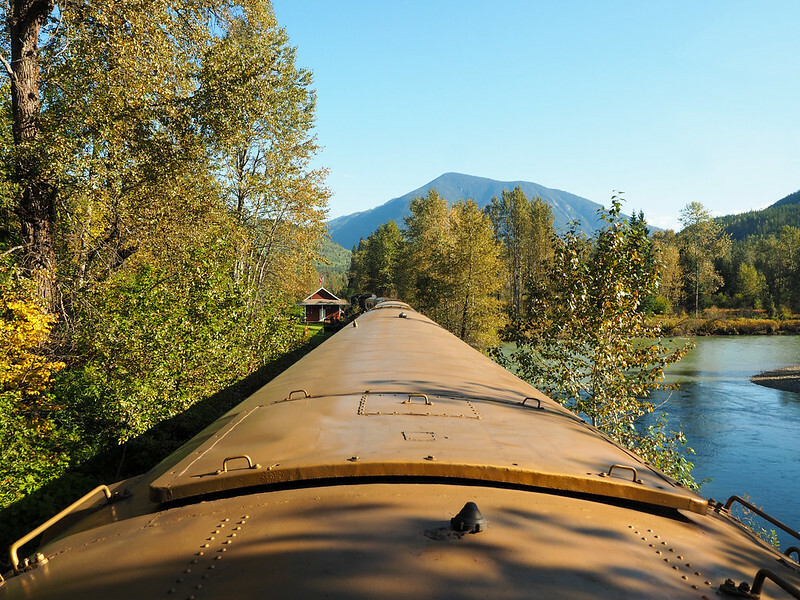 Plus, train tracks almost always go through more scenic places than highways! 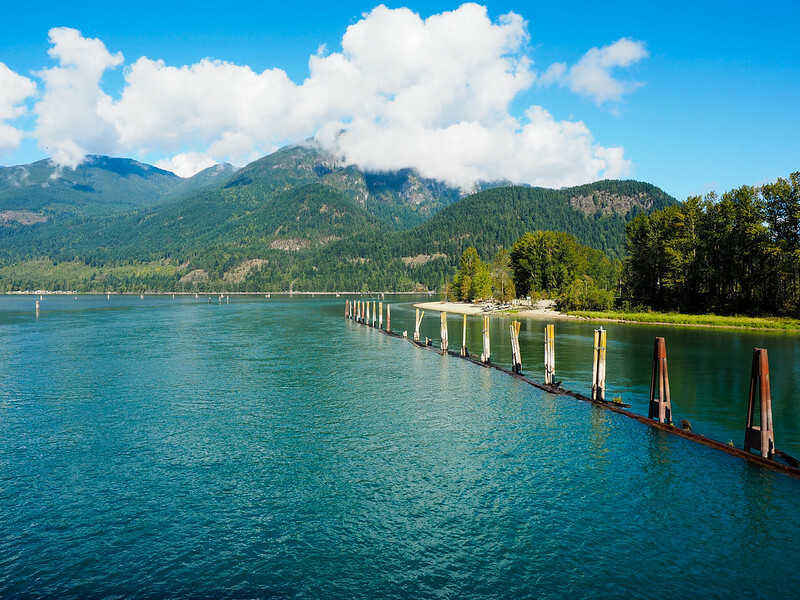 It’s a wonderful way to see Canada…. I agree – such a wonderful way to see any country, really! Beautiful pictures! I’m lucky that I live in Alberta now so I get to see this scenery quite often.